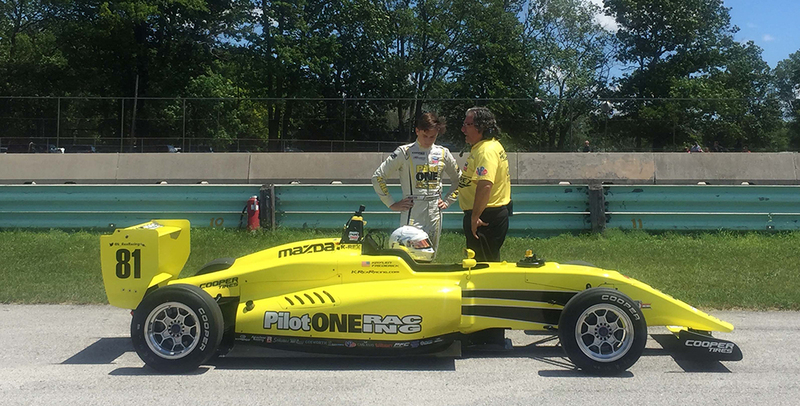 Elkhart Lake, Wis. – Team Pelfrey’s Kaylen Frederick finished Rounds 7 and 8 in sixth and fourth place of the Cooper Tires USF2000 Powered by Mazda Championship. Changing weather conditions and a wet track in Q1 required K-Rex to focus on strategy as the weekend at Road America progressed. Rolling out to a wet track, the team debuted wet tires & wet setup in the only Practice session of the doubleheader weekend, however the damp conditions dissipated forcing the team to switch to slicks within a few laps into the 30-minute session. As the team transitioned into Qualifying, again on a wet track early Friday morning, the drying track placed emphasis on the last laps. Caught out by a yellow flag in the closing laps, Kaylen Frederick settled with a twelfth grid position in Q1 and sixth position in Q2. In Race One, K-Rex laid down fast laps on par with podium finishers Rinus VeeKay, Calvin Ming, and Oliver Askew. After taking the fight from P12 to P6, at mid-race K-Rex was boxed in and forced with all four wheels off track to slide back to P12. Picking up the fight again, Kaylen worked through the field settling to finish the contest in sixth place. Race Two began with Kaylen immediately advancing to P5 followed by P4 in the following lap. After a mid-race yellow flag and a solid restart, K-Rex swung to the inside of Askew in turn 5 to pursue the third position. Askew however turned into Kaylen forcing him onto the grass on the inside. With two wheels locked up in the grass, while re-entering the track, Kaylen flat-spotted his tires. No longer able to aggressively hunt down the leaders, Kaylen distanced himself from chasers, maintained position and scored the top-finish for Team Pelfrey with a fourth-place result. 3rd in the 2017 MRTI USF 2K Championship, Kaylen is priming for the approaching races at the Iowa Speedway oval and the Streets of Toronto. 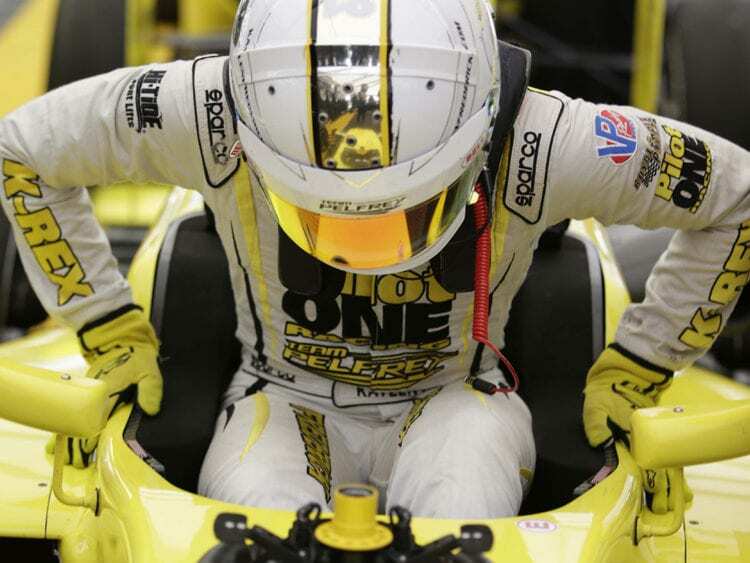 Up Next: K-Rex is back in action next week as the signature Pilot ONE Racing yellow No. 81 takes on the .894-mile oval of Iowa Speedway July 8 and 9. Please follow Twitter @kaylen_fred , Instagram #kaylen_frederick, or Facebook Kaylen Frederick to keep up with the action.